Attic Hostel Torino, Turyn, Włochy : Rezerwuj teraz! We usually make pre-authorization of the card and in case of invalid card contact the customer to request an alternative card and If we do not receive a reply within 48 hours we will cancel the reservation. Kitchen usable from 8.00 a.m. to 10 p.m.
08:00 to 22 hours Reception. Check in from 8:00 to 22:00. Check out from 8.00 to 10:30 am. Guests who sleep in dormitories are asked to leave the rooms and the communal bathrooms between 10.30 and 13.30 in order to clean the rooms, wash the floors and make the beds. Who sleeps in single or double rooms can remain without daily cleaning and without hindering the cleanliness of the bathrooms and the corridor. 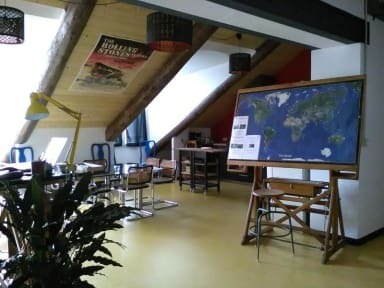 Attic Hostel Torino is located in a sunny, recently refurbished loft, and offers 25 beds across a wide variety of rooms (single, double, dorm, en suite) suitable not just for younger travellers and students, but also for families and more senior globe-trotters. Our living space and kitchen are ideal for meeting new people and immersing yourself in stories and cultures from around the world. We aim to combine the advantages of a hostel with the comfort of a hotel and the warmth of a home. 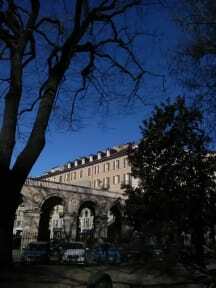 We are located in the Centro Storico only 2-minute walk from Torino Porta Nuova Train Station. The Egyptian Museum is a 10-minute walk from Attic Hostel Torino, while the Mole Antonelliana is 1.7 km away. Politecnico di Torino is 1.7 km from the property. Turin Airport is 22 km away. There are eight attic-style rooms available, with the choice of 1, 2, 4 or 6 beds. Two of these have a private bathroom. Our two owners designed the entire restoration project, from furniture to final changes. - Guests who sleep in dormitories are asked to leave the rooms and the communal bathrooms between 10.30 and 13.30 in order to clean the rooms, wash the floors and make the beds. - Who sleeps in single or double rooms can remain without daily cleaning and without hindering the cleanliness of the bathrooms and the corridor.